Birch Point also offers seven clean, air conditioned, comfortable motel rooms. These rooms overlook Nelson Lake at the mouth of our bay. There are also four kitchenette motel rooms with all the amenities for those who prefer to do their own cooking. 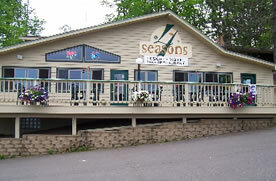 We offer a full bar and restaurant with Friday fish fry,homemade pizza, burgers and more. Weekend breakfast served 9am till noon. "Dining with a view" inside or outside on our deck with panoramic vistas of beautiful Nelson lake. On chilly days warm up with a hot meal or hot drink by our fireplace. Our 500 miles of groomed snowmobile trails and the close-by world class American Birkebeiner Cross Country Ski Trail provide many hours of winter fun. Just located 5 miles from Hayward we are close to a variety of activites such as; golf, shopping, petting zoo, go-carts, water slides, the Fishing Hall of Fame, and the very popular LCO Casino. A full service bait and tackle shop, serving the Nelson Lake area. We carry all of the gear you need for your fishing trip. Minnows, night-crawlers, suckers and more. 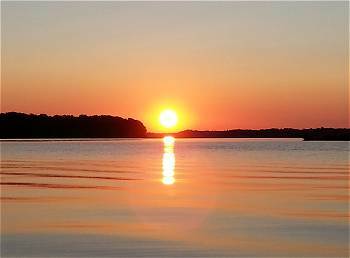 We are nestled on the shores of beautiful Lake Nelson, just seven miles from Hayward. Here you will find year 'round recreation at its best. Each cozy lakeside motel unit includes all the amenities (and more) you would expect in a resort cabin. Each unit has a fully furnished kitchen, sleeping accommodations for one to six people, bathroom and private patio. Your vacation can be as busy, or as relaxing as you want it to be. Our full-liquor bar is a friendly place to stop for a break, enjoy a light meal. Or go for a midnight swim. When you're looking for the warm, good times, you're sure to find them here at Nelson Lake Landing. 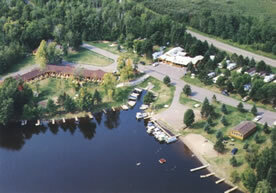 Nelson Lake Lodge is a seasonal resort and campground offering pontoon boat rental and lakeview lodging. 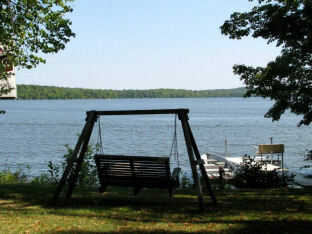 A family friendly resort on Nelson Lake, a premier fishing lake in Hayward, Wisconsin. Flexible check in/out days with short stays welcome (2-night minimum) for our modern lakeview lodging. Fully furnished lakeview suites feature full kitchens, private lakeview decks, in-suite controls for heating and air conditioning, cable television and free WIFI. Our campground also features a sand swim beach, swim platform, and fish cleaning house for our guests. Pontoon boat rentals available to anyone looking to enjoy time on Nelson Lake. Our cabins bring guests closer to nature; lining the shoreline with picture window postcard views. Many of our returning guests have been doing so for years - sometimes through generations - and Reiske's Island View Resort is proud to have been a part of their memories, and we're glad to soon be part of yours! 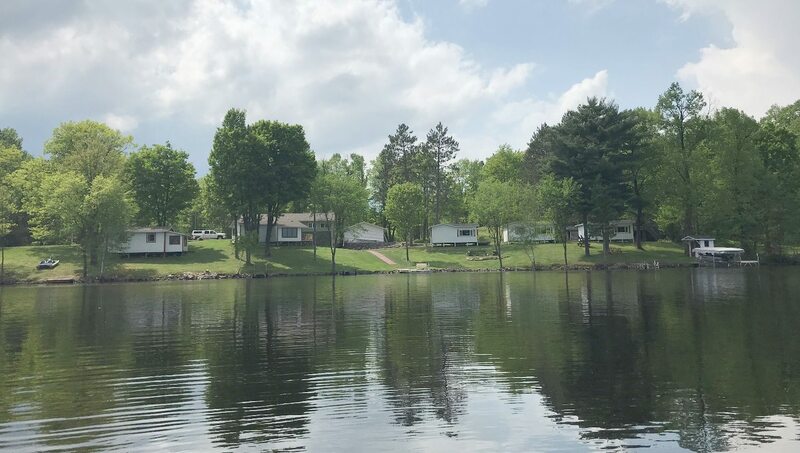 Revelle's Resort, set on beautiful Nelson Lake just north of Hayward, Wisconsin, is open year round to accommodate your vacation plans. It features modern housekeeping cottages - all located on the lake, easily accessible and well-lit. For winter guests, we have two cottages built especially for winter comfort - equipped with gas furnaces. Ice fishing, snowmobiling and cross-country skiing start right from your door, and downhill skiing is only 15 miles away at Telemark Ski Area. 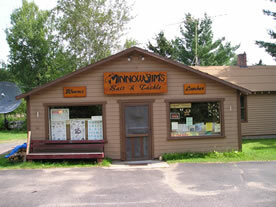 Experience beauty in the Northwoods of Hayward WI. 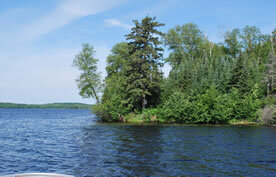 Sunrise Bay Campground is located on the northwest shores of Nelson Lake, just 8 miles from town. Enjoy a weekend of camping, fishing, water sports or just relaxing by the fire. 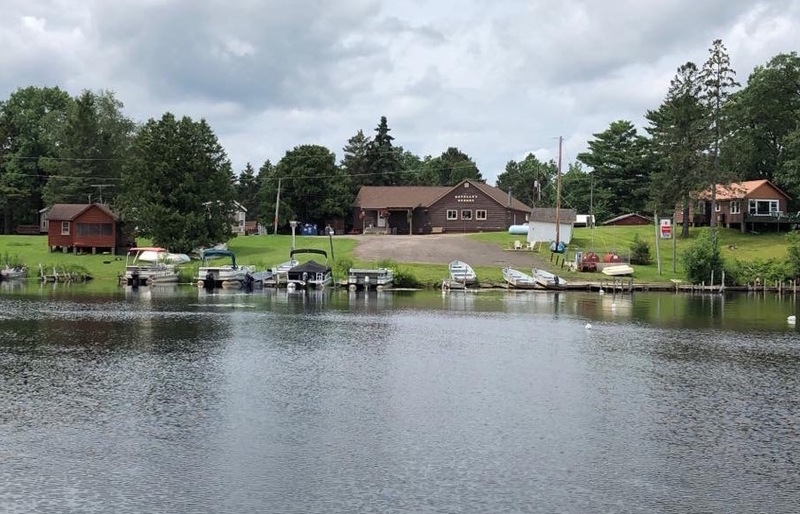 We have a playground, game room, fish cleaning house, shower house, boat and pontoon rental, boat launch, dock space and the ATV trails are just out by our driveway, so there is something for everyone! 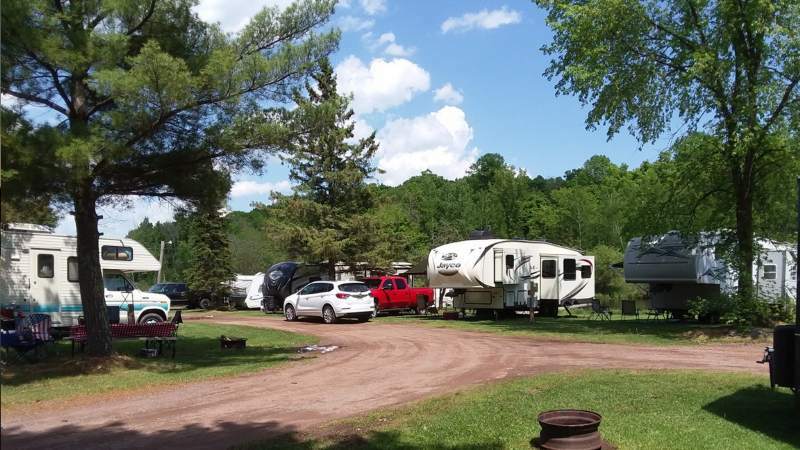 We have both seasonal and daily camping sites, so call today to plan your get away to Hayward! Your home away from home ... strictly modern two-bedroom, fully-equipped cottages less than 50 feet from shore with no hills to climb. We have a full liquor bar serving the "coldest beer" on the lake! So after a long day on the lake, stop by and have your favorite beverage. We are always trying new things on our menu. Always affordable! We take great pride in the food that we serve. We have appetizers, pizza, burgers, chicken, pork tenderloins, shrimp & fish. We have one of the newest & best fish fry's around! 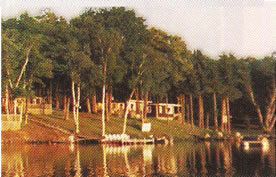 The Nelson Resort is nestled in a no-wake bay with eastern exposure. 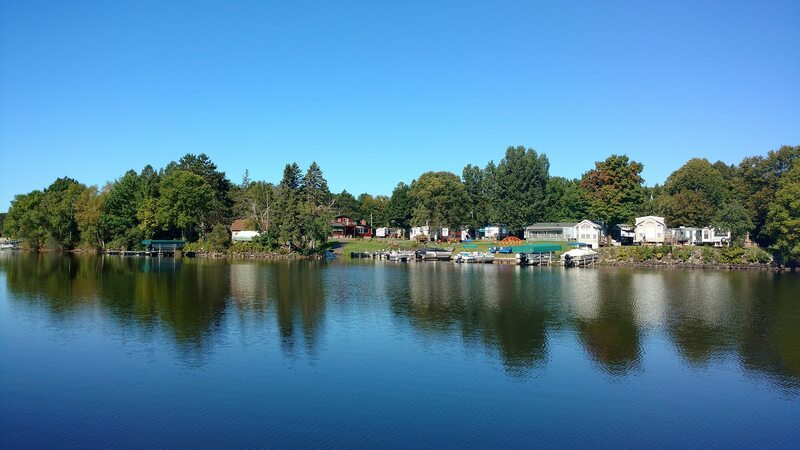 We offer affordable accommodations with great dock space for fishing & boating; access to trails suited for hiking, biking, hunting and ATV riding. Make yourself at home in our newly renovated and modern housekeeping cabins. Enjoy the generous view of the lake as the morning sun shines through your lakeside cabin. 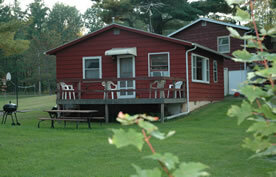 We have 5 air conditioned cabins that feature complete kitchen amenities, two bedrooms and bathrooms with a shower. We are smoke and pet free. We also have complimentary Wi-Fi, kayaks, a paddle-boat, gas grills, fire pit and wood all available for your leisure.